And here's one more . . . I had not heard Eugene Cho until I got connected with Catalyst Cincinnati earlier this year. Hearing his experiences and then having the opportunity to speak with him one-on-one about generosity was energizing. He also talked about how we can feel incapacitated when we see the enormity of challenges and needs in our world. But if each of us give, then we join together and our small contributions can have a huge impact. Enjoy his thoughts by reading my interview with Eugene, published on CDF Capital's blog. Tis the season for all my interviews to get published! My interview with Jo Saxton earlier this year was inspiring. I could listen to her all day. Part of it is her British accent—not going to lie! But truly, her experiences, her ministry, and her confidence in the Lord's leading all bring about motivation to leaders everywhere. I especially appreciate it as a female leader in God's kingdom. I first heard Jo speak during the IF conference a few years ago. I was thrilled to meet her in person at Catalyst Cincinnati. And now I'm following her blog and anticipating her upcoming book. Enjoy some thoughts and encouragement she shared by reading my interview with Jo, published on CDF Capital's blog. When I saw the book title Kill the Spider, I knew this was an author I wanted to talk to. 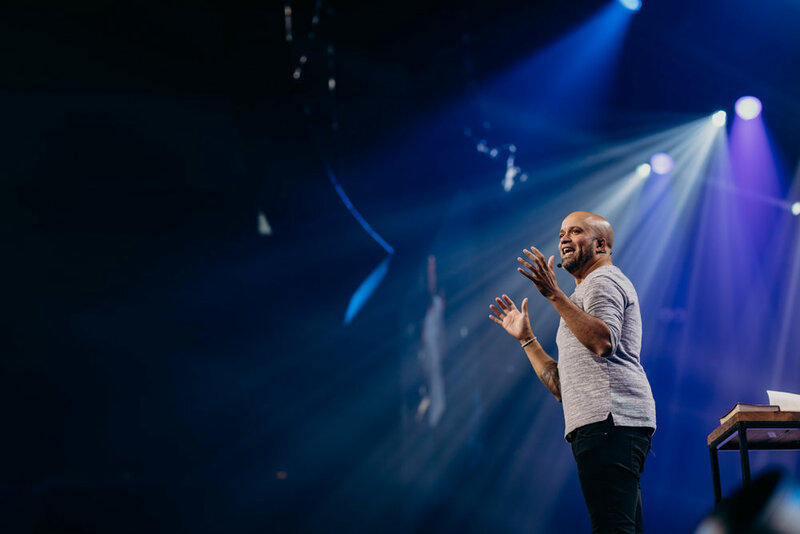 I got the chance to meet author, speaker, former worship leader Carlos Whittaker at Catalyst Atlanta a few weeks ago. His passion for God and leading people to God's truths is palpable. I enjoyed every minute of our conversation. Apparently Carlos's family is famous for a viral video of his kids singing "Single Ladies"—and the tears that were involved! It's cute. He used to led worship at Andy Stanley’s Buckhead Church, one of North Point Ministries’ six campuses. He released albums. And he once had the opportunity to lead worship at the White House for President Barack Obama on Easter. But then his life took a turn. After leaving worship ministry to focus on writing and speaking, there were some hidden parts of his spiritual life that he hadn't addressed. His fall and his climb back is the story he shares in his new book. I got to talk with him about finding true freedom and being a leader onstage and off. So grateful that a publication I recently learned about, Faithfully Magazine, published my interview with Carlos. They discuss topics and perspectives that everyone, especially followers of Christ, needs to read. I became an instant fan of their writing, their topics, and their candid look at faith.